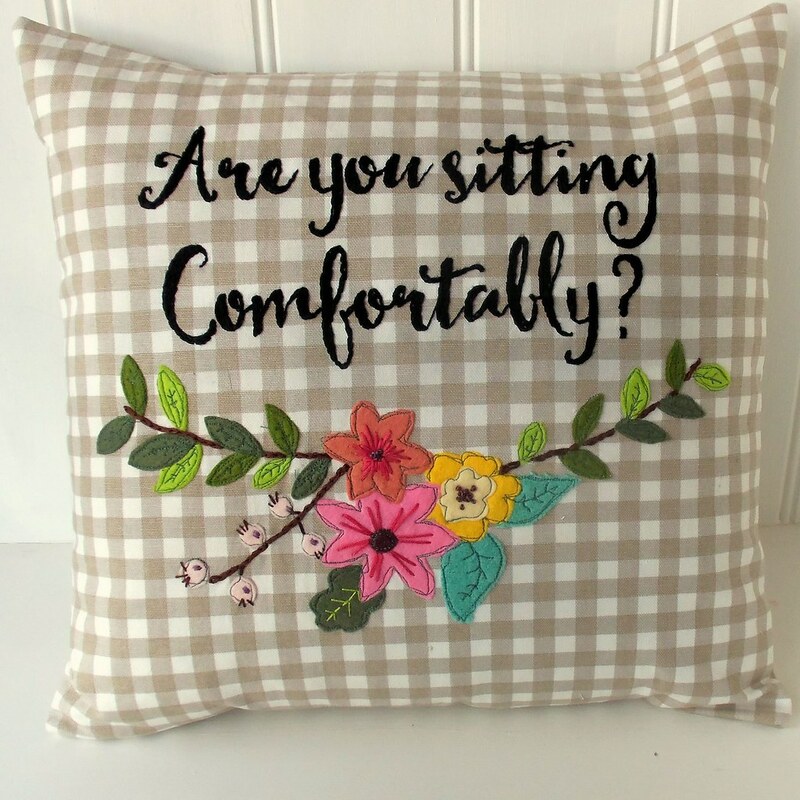 I love the current trend for combining colourful florals with distinctive text. It’s most usually seen in hand embroidery, but I thought it would be fun to try a different approach by scaling up my design and combining it with some freestyle machine applique using cheerful coloured felt, and just a little simple hand stitching. 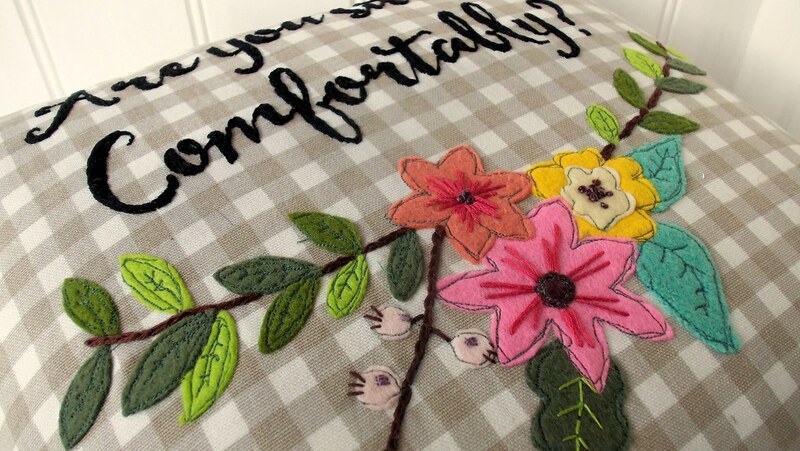 British readers of a certain age will recognise the text from “Listen with Mother!” It’s embroidered in split stitch whilst the floral garland uses chain stitch and French knots.